A long-standing partnership with Imperial is continuing to provide Parking Control Management (PCM) with the support and specialist software to help the company maintain its impressive record for service development. 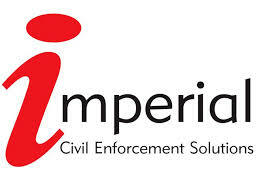 The company is now extending its use of Imperial’s cashless parking system and planning to introduce the enforcement specialist’s automated correspondence system for improving service efficiencies as well as its graphic mapping tools to maximise the effectiveness of parking attendant deployment. PCM’s relationship with Imperial began when the company moved from immobilisation to ticket-based enforcement as a result of legislative changes for parking on private land introduced by the Government in 2012. Harnessing Imperial’s many years of experience in PCN (Parking Charge Notice) processing, PCM completed a radical overhaul of its operation in response to the new regulations. This included full training of patrol attendants and back-office staff, the introduction of new processing technology and the replacement of over 0.5 million car park signs at all client car parks. By capitalising on hosted software systems as well as the training resources and expertise of Imperial’s Business Processing Unit in Northampton, the company was able to take the changes in its stride and maintain its focus on enforcement actions to meet the specific parking requirements of each client. Today, PCM manages no less than 3,000 different permit parking schemes for residential and commercial sites and restricted parking areas right across the UK. Its openly tough approach for ensuring compliance with the parking requirements of its clients has proved to be particularly effective in densely populated metropolitan areas, where only authorised users and permit holders have access to limited parking facilities. This approach has enabled the company to consolidate its position as one of the country’s leading residential car park management operations, with recent contracts including EcoWorld Ballymore’s London City Island near Canary Wharf. It is also providing tailored car park control schemes for a wide range of commercial, leisure and retail developments, where there is a clear requirement to minimise the internal or external abuse of parking spaces and ensure the valid use of disabled parking bays. The company is now working with Imperial to further extend the services it provides. The introduction of Imperial’s cashless parking module, PaySmarti, has proved particularly effective where clients require payment for visitor parking in permit controlled areas. And, to minimise risks in the PCN appeals process and provide considered and compliant responses to motorists, the company is now preparing to introduce LetterSmarti. This move will improve the efficiency and consistency of outgoing correspondence. Keen to capitalise on real-time intelligence and tracking to identify parking abuse hotspots and optimise the effectiveness of the deployment of parking attendants, PCM is also set to adopt Imperial’s graphic mapping tool,GeoSmarti.